I've spent my whole life loving books and my whole professional life helping people understand the power of words, from high school students learning why classic texts have stayed the test of time, to writers learning to wield word-power for themselves. I taught English Literature for many years but when I became a published author I was increasingly invited to talk about creative writing. I have taught on writing courses run by Oxford University since 2002 and given talks and workshops at the Writers' Festival in Winchester since 2000. I've discovered I love giving presentations, running workshops, sharing experience and advice with writers. I loved this so much I wanted to take it further, so I founded Fictionfire Literary Consultancy in 2009. Fictionfire has been a great adventure: I've designed workshops, run day courses at Trinity College, Oxford and writing retreats in Oxford and Cornwall. I've mentored writers through their writing projects, evaluated their manuscripts, pointed them in the right direction when they want to take their work to market. In 2017 alone, I edited 1.2 million words! Past talks and lectures include for Oxford University, the University of Winchester's Writers' Festival, Aarhus University in Denmark, plus the Society of Children's Book Writers and Illustrators Professional Series in London, the Calderdale Writers' Roadshow in Halifax, Oxford's C.S. Lewis Society, Oxford Writers' House and the Oxford Literary Festival. If you'd like me to give a talk or run a workshop for you, please visit my SPEAKER PAGE for full details. I'm a member of The Society of Authors, The Alliance of Independent Authors, Writers in Oxford and The Historical Novel Society – and have served on the committees of the last two. Over the years I've judged a number of story competitions for Winchester Writers' Festival, the Ian St James Award, Oxford's Short Stories Aloud competition, the Historical Novel Society's Conference Oxford 2016 competition and most recently, Writers in Oxford's Young Oxfordshire Writers Competition. I've been interviewed and guested on writing blogs, including Jane Davis' bookclub, Cryssa Bazos' blog, Alison Morton's blog and Stephanie Moore Hopkins' Layered Pages. I contributed 'The Dreaded Saggy Plot – and How to Avoid It' to Triskele Books Creative Pulse series. My chapter on Pre-writing appears in Studying Creative Writing, edited by Sharon Norris and published by the Professional and Higher Partnership in the Creative Writing Studies series. I won the HNS short story award at the London conference in 2014. In 2016 I was one of the judges for the Oxford conference competition. When my winning story 'Salt' was published in Distant Echoes by Corazon Books I was invited to write an article on historical fiction for the Society. Click on the button to read it. I've been a member of ALLi since its inception in 2012 and have contributed to its self-publishing advice blog more than once. Click the button to read my article on the benefits of writers' retreats. I guested on Joanna Penn's amazing blog about the differences between traditional and self-publishing; with my novel The Chase I had had experience of the advantages and disadvantages of both. My passion for helping writers is born out my own passion for writing and all the lessons I've learned about the craft of writing since I wrote my first poem at the age of six and told my teacher I wanted to be an author! Le Sanglier: an old house buried in the woods of the Dordogne, a region steeped in dark history. Gerald Feldwick buys it as a refuge, telling his wife Netty that in France they can start afresh – they can escape the unbearable pain of the event that has fractured their marriage. He tells her they can put the past behind them. Netty is not so sure. My short story 'Salt', set during the First World War, won the Historical Novel Society's London 2014 Award and now appears in this anthology of winners and runners-up of HNS competitions. Ina works as a Scottish 'herring girl' in Great Yarmouth as soldiers prepare to leave for the trenches of France. Her fragile sister Mary Bella falls in love just as the world falls into chaos – what can Ina do to help her? 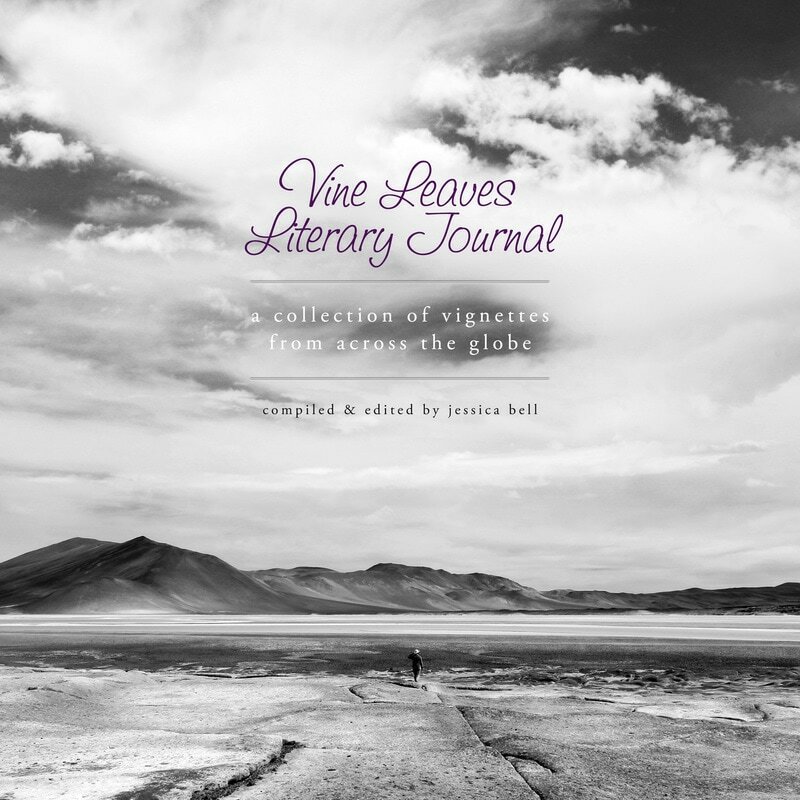 My poem 'Cooling' appears in the Vine Leaves Literary Journal, a beautiful collection of poems, vignettes, photographs and illustrations from Vine Leaves Press. This 220 page hardback is a gorgeous coffee table book to treasure, celebrating the art of the vignette and encouraging us all to take time to focus on the beauty of the moment. I was brought up in a fishing village in northern Scotland and educated at Aberdeen University, where I graduated with a First Class Master of Arts degree in English Language and Literature, before moving to Oxford to continue my studies at Merton College. As I write this I realize how incredibly lucky I have been to live in such beautiful places – from the wild coast of Scotland, to the 'silver city' of Aberdeen, to the golden spires of Oxford. I live in Oxford with my husband. My two sons are grown up and forging their own paths in life, one as a musician and teacher of music, the other as a marketing analyst. This household is all about words and music! I'm contacting you because ... * I'm thinking about enrolling on your course and I have a question. I'm a student on your course and I have a question. I'm enquiring about your editorial or appraisal services. I'm looking for coaching or consultancy services. I'd like to book you to give a talk or run a workshop. I'd like to interview you or invite you to guest-post for me. I want to give you a testimonial. If you’re enquiring about my editorial services it’s really helpful if you can include the following information: the genre of your work, the word count and when you would like the work to be done, plus any other information you think might be useful. Please also send the first chapter to info@fictionfire.co.uk so that I can get a sense of your writing. I can then get back to you with information on cost and my availability. Thank you for your message. I'll get back to you as soon as I can.